imAndystorm.com. Singapore Lifestyle. Travel. Food. 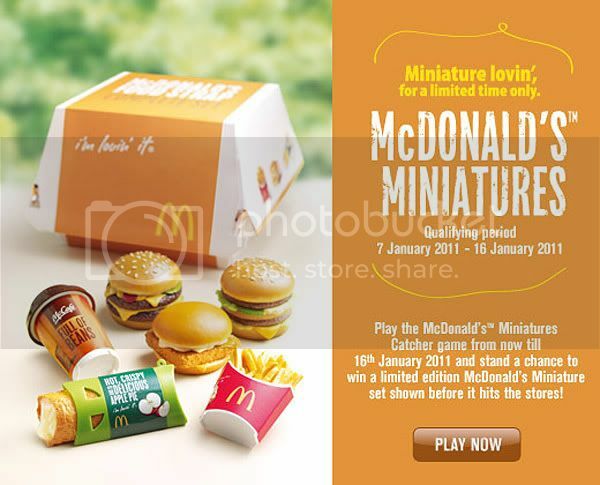 : Mcdonalds Miniatures FB game! For the past few days i've been playing this on Facebook! But it's not easy at all. 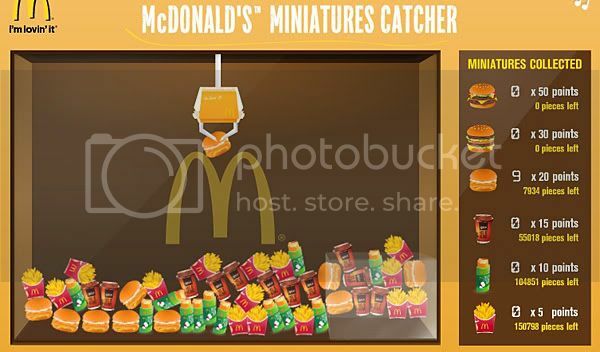 You get 10 credits every hour so basically every hour you have to be on your laptop catching item and you have to be fast cos the burgers are gone REALLY REALLY FAST. (You need them to win!) In other words, you can forget about sleeping if you want to win. FYL tyvm. 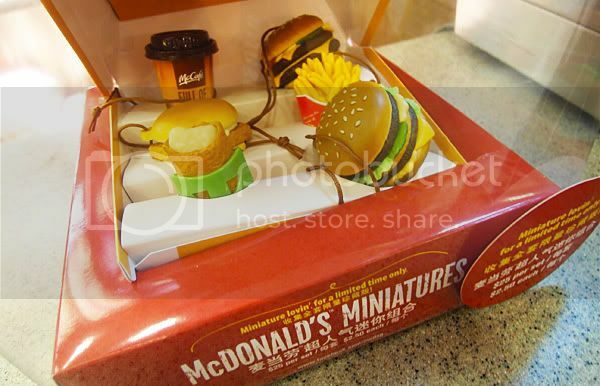 Wait, did i mention the winner of the game gets the whole set for free? !